With a fresh ESE wind predicted, we thought the birds might be few in number but perhaps close inshore. With this in mind, Nigel, Gerald, Jack, Phil and Richard gathered in St Margaret's Bay for our best seawatch of the spring. 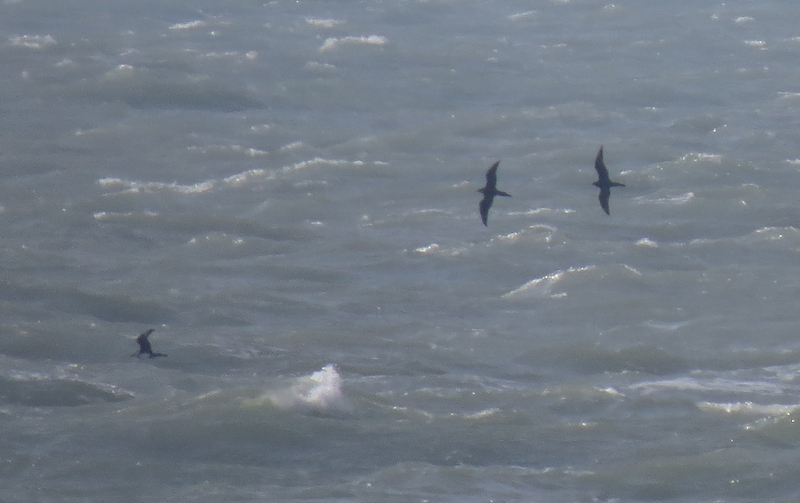 Between 0545 and 1130 we recorded 72 Pomarine Skuas (many very close, some with "spoons"), 12 Great Skuas, 17 Arctic Skuas, 1 Black-throated Diver, 2 Velvet Scoter, 6 Pintail, 260 Common Scoter, 22 Grey Plover, 13 Bar-tailed Godwit, 4 Dunlin, 5 Whimbrel, 1 Red-breasted Merganser, 10 Med Gulls, plus Common and Sandwich Terns, Kittiwakes and Gannets all moving upchannel. A change in the weather, warmer conditions with a light SSW wind, and Phil was out not long after dawn. 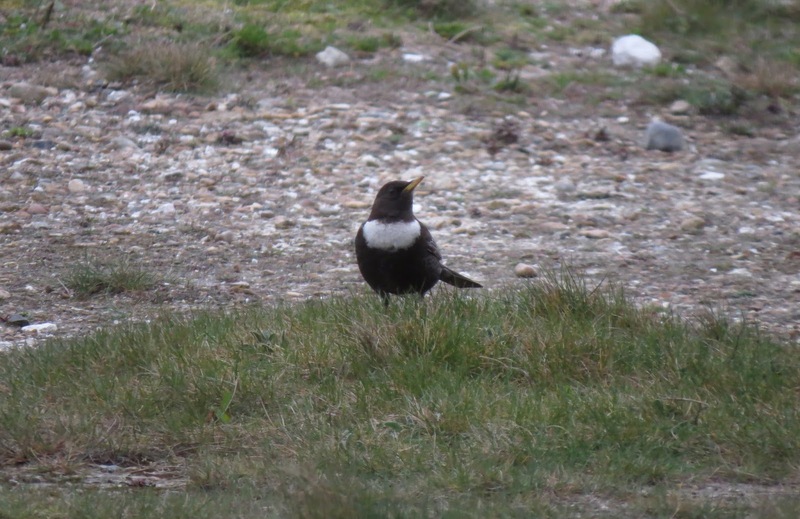 Early highlights were a Hobby, a Common Swift, 2 Tree Pipits and 2 Ring Ouzels. After spending seven hours in the field, with the wind increasing slightly, 65 warblers were recorded, mainly Whitethroats and, notable for us, a Garden Warbler. We also had two Whinchats and a Great Skua sitting on the rocks at Hope Point. Elsewhere were 31Wheatears which, we thought, at least 25 were of the Greenland race. It was a much quieter morning than yesterday. The highlight being a Turtle Dove seen by Gerald which could well be the first and last record of the year. With flat calm conditions in the Straits of Dover, we picked out a couple of Harbour Porpoises. 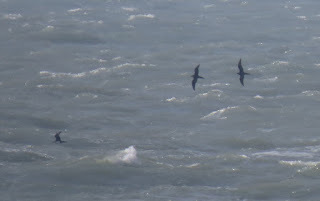 In the afternoon, supplemented by light SSE winds, Pomarine Skuas were being seen from various sites in West and East Sussex. When news came through from Dungeness, Jack, Nigel and I went down to St. Margaret's Bay to try and pick up a few. Visibility was was very good, the coast of France unobstructed. 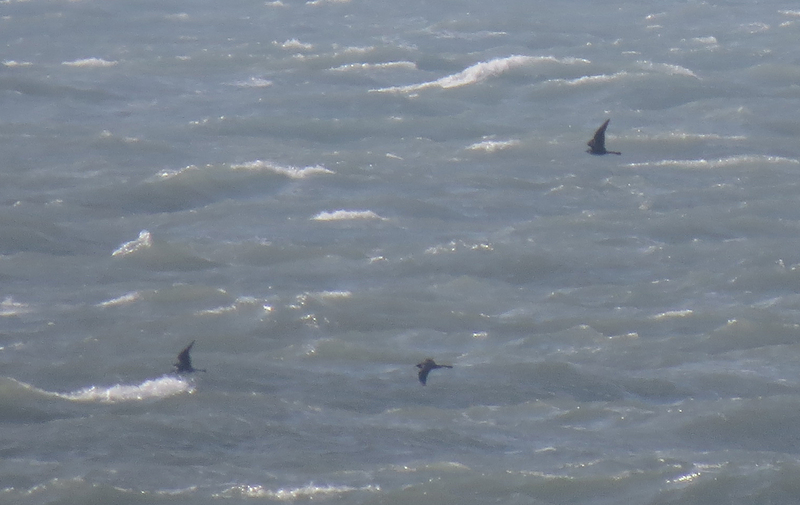 Approximately an hour and a half after passing Dungeness, our first 3 Pomarine Skuas came past. Over the next couple of hours we recorded 13. None of which were particularly close, just as well visibility was favourable, but the views were sufficient enough that we could pick out the 'spoon' like tail feathers on some birds and a couple of beautiful dark morphs as well. Also in The Bay we saw 2 Mediterranean Gulls, 5 Sandwich Terns, 7 Arctic/Common Terns and a Common Seal. Jack and Phil walked the entire area today and in a light northerly wind they recorded an impressive haul of 112 warblers. 26 Whitethroats, 15 Lesser Whitethroats, 24 Willow Warblers, 24 Chiffchaffs and 22 Blackcaps. In addition there were 10 Swallows, 2 House Martins, 6 Alba Wagtails (of which 2 were White Wagtails), 5 Whimbrels flying up channel and a Grey Plover. A 2 hour seawatch in chilly NE conditions gave us 12 Whimbrel, 72 Common Scoter, 2 Red-throated Divers, 28 Dunlin and 2 Velvet Scoter, all moving up channel. The run of good form continued today and the honour of best bird of the year changed again when Phil picked up an Alpine Swift at 10.00 distantly over the golf course. Brendan and I got onto it and we watched it for 10 minutes feeding high then lost it heading north towards Deal. Shortly after it was seen over Worth Marshes and Sandwich Bay. This was the first in the area since 2014 and the 7th overall since we started birding here in 1994. Around the area and watching from the vis mig point in a light to moderate NW we also recorded 49 Swallows, 7 House Martins, 4 Sand Martins, Siskin, Willow Warbler, 2 Whitethroats, Lesser Whitethroat, 5 Sparrowhawks, 8 Buzzards, 2 Ravens, Yellow Wagtail and 60 Linnets. Out at sea 4 Whimbrels flew up channel. The highlight of the day and arguably the year so far was discovered by Jack and Phil in the Hope Point area today. A Yellow-browed Warbler was calling and seen briefly around 10.15. Having been birding the area for 23 years now, there are not many days when something new happens. Although a Yellow-browed Warbler is an expected scarce migrant in the Autumn, we have never had one so early in the year. 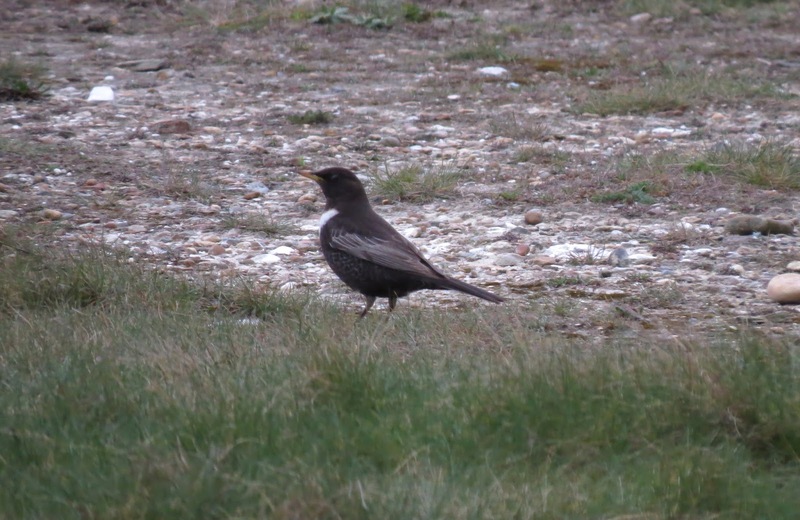 Indeed we believe this is one of only a handful of Spring records in Kent, but perhaps its an indication of how the status of this bird has changed in recent years. In a light NW we also recorded 3 House Martins, 5 Swallows, a Short-eared Owl in off the sea, 2 Whitethroats, 4 Lesser Whitethroats, 5 Blackcaps, 3 Willow Warblers, 2 Yellow Wagtails and 5 White Wagtails. 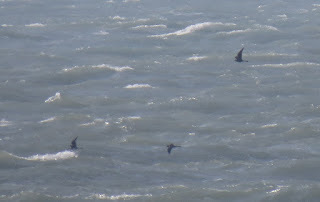 On the sea a Red-throated Diver, a Black-throated Diver and 4 Shags all headed up channel. A light NW wind and with Brendan, Jack, Nigel and Phil walking the area between Kingsdown and Bockhill, Richard joining them up at the vis mig point with coffee and biscuits, the migrants continued to be seen. A single House Martin, c50 Swallows, 3 Ring Ouzels, Wheatear, Yellow Wagtail, 3 White Wagtails, Whitethroat, 3 Lesser Whitethroats, 8 Blackcaps, 10 Chiffchaffs, Raven and 2 Sparrowhawks. Brendan was out this morning around Bockhill on a sunny day with a few patchy clouds in a light NW and was rewarded with a Water Pipit on the cliff top, a Red Kite heading north, 2 Lesser Whitethroats at Hope Point, a Whitethroat at Hope Bay Studio, 5 Willow Warblers, 6 Blackcaps, 8 Chiffchaffs and 2 Grey Partridges. Another sunny, but chilly, day with a light NW breeze brought in 7 Swallows, 9 Common Buzzards, 5 Sparrowhawks and a Red Kite. Other birds included 15 Siskins moving N, 2 White Wagtails and 2 Chiffchaffs singing in the Paddock. 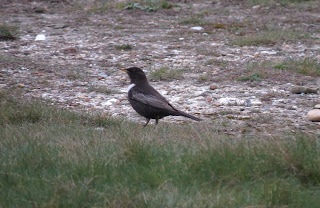 Today Phil and I walked around the entire area and had 1 Swallow, 2 Grey Partridges, 13 Blackcaps and 15 Chiffchaffs. The movement of Red Kites continued with 2 flying north at 10:30am. Very few birds of note apart from 3 Swallows, 3 Blackcaps, 4 Chiffchaffs and a Bullfinch. 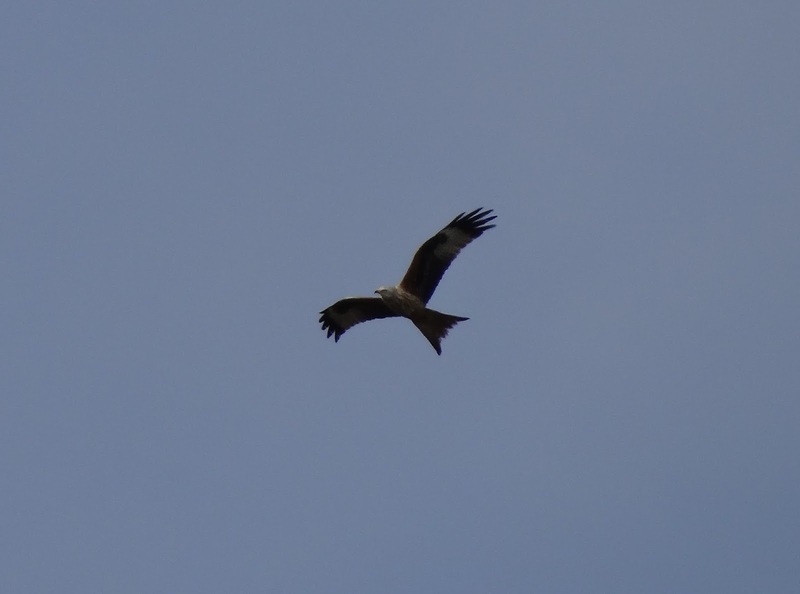 In a light southerly wind a Red Kite passed north over Kingsdown in the early afternoon and at least 5 Buzzards were causing the Herring Gulls some significant upset. This morning Phil, Richard and I stood on the cliff-top and had a movement in a NW direction of 6 Sparrowhawks, 3 Red Kites and 24 Buzzards, and in a NE direction 108 Chaffinches, 30 Goldfinches, 4 Siskins, 8 Alba Wagtails ( of which 5 were White Wagtails), 3 Swallows and 2 Woodlarks. Elsewhere around the area were 3 Ravens, 3 Shags, 2 Whimbrels and a Willow Warbler. In the afternoon a walk along Ottey Bottom produced 6 Blackcaps and 10 Chiffchaffs. In sunny conditions with a light to moderate south-west wind a Red Kite headed west over Kingsdown at 13.20. Elsewhere in the area were a Raven and a couple of Blackcaps. In the evening a pair of Tawny Owls were calling in Kingsdown.